The Touch toilet brush by Södahl is part of the same name series, which delights with a soft surface and an elegant design. The toilet brush holder is made from stoneware and coated with a rubber coating in matt colours. The bottom, as well as the brush’s handle are made from metal in silver or brass and are refined details which make the Touch series so elegant. In addition to the toilet brush holder the collection includes a toothbrush tumbler, soap dispenser and waste bin, which can be combined as desired. 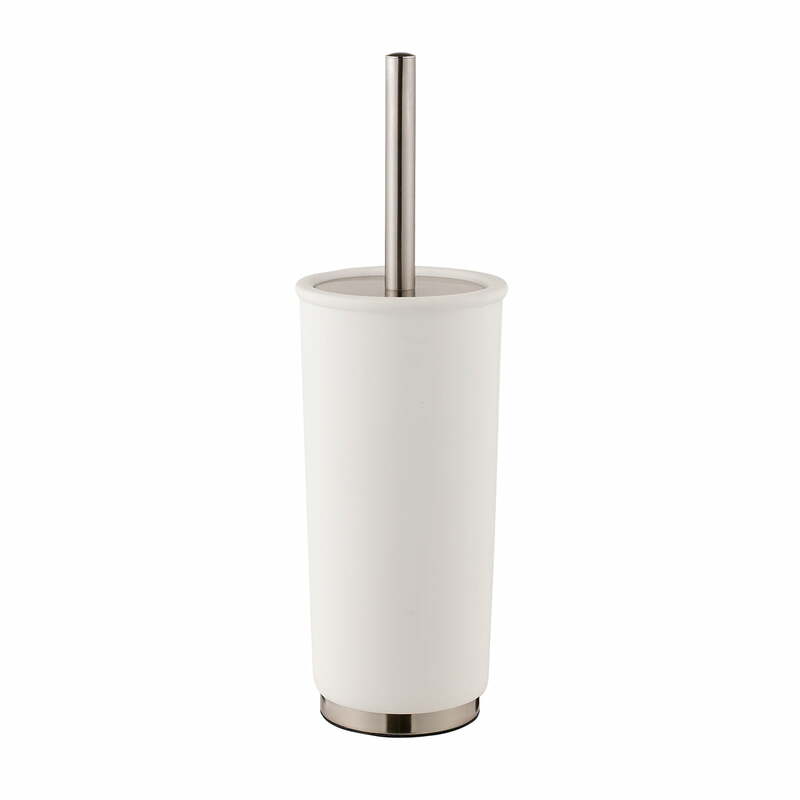 Individual image of the Touch Toilet Brush by the Danish firm Södahl in white. The toilet brush holder is made from stoneware and coated with a rubber coating.